Social Media becoming an integral part of life online, most people using various forms of social media on a daily basis to update their friends and family on their lives every day, checking in with each other and communicating with people across the globe. Social media has tremendously changed the way people interact and carry on with their everyday lives. With internet becoming a necessity in every home or office, majority of people who are online spend most of their time on social media sites. 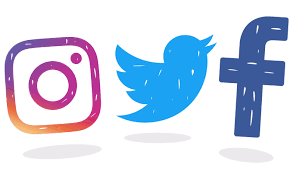 Up until now, we have had very little online presence with only a Facebook page that was rarely updated but that is all about to change as we have a implemented a new plan to increase our online presence which includes setting up Twitter and Instagram Accounts and regularly updating them and our Facebook account on a weekly basis, engaging more with the community that follow us and giving them an insight into the company. This also means updating our news section here on the CET Connect website. « CET Connect have moved!